No one does summer like an otter does summer Watch and learn. Does the summer heat having you feeling a little spent? That's OK. 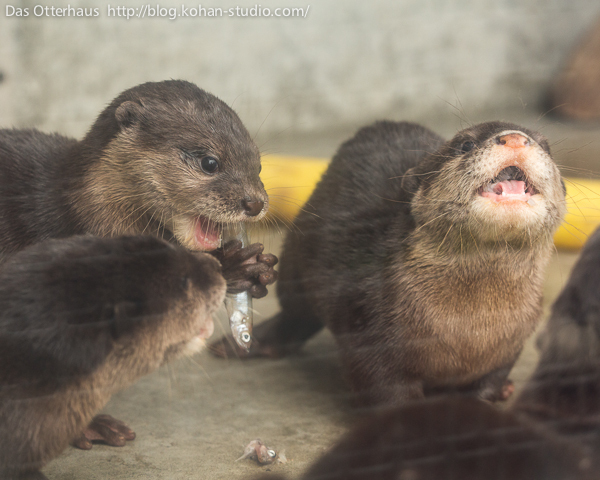 These otters are here to help. First, take a break and ponder the meaning of life. Or, y'know, take a nap. Still feeling a bit tired out? Well, every otter knows that a bucket of ice is the perfect cure for heat exhaustion! And a quick swim is sure to be refreshing. You'll be guaranteed to look glamorous and seductive when you emerge from the water, glistening. *Cute baby otter sidekick optional, but definitely encouraged. Then, while you're at it, why not work on your suntan? After all, summer is only around for so long! Might as well enjoy it. Just make sure to stay hydrated! Oh, and don't forget that summer is the best time of year for romance. So always keep an eye out for a special someone to cuddle with! Especially if a hammock is available. Hammocks are ideal for summertime cuddling. And always keep an eye out for some summertime snacks. There's nothing like some watermelon on a hot day. ...Except for some raw fish, if that's more your style. Get out into the great unknown! And have the best summer ever!